What does Eni do towards sustainability in Norway? Since when does Eni operate in Norway? How many employees work in Norway? Exploration activities yielded positive results with the Cape Vulture oil and gas discovery in the PL128/128D license (Eni’s interest 11.5%) nearby the production facilities of the Norne field. In july 2017 Eni has also made a new discovery in the PL 532 license, southwest of the Johan Castberg field, in the Kayak prospect of the Barents Sea. In the Barents Sea operations have been focused on the Goliat production field (Eni operator with a 65% interest). In 2017, Goliat produced 28 kboe/d or 22% of Eni’s production in Norway. In the Norwegian Sea the principal producing fields are Åsgard (Eni’s interest 14.82%), Kristin (Eni’s interest 8.25%), Heidrun (Eni’s interest 5.17%), Mikkel (Eni’s interest 14.9%), Tyrihans (Eni’s interest 6.2%), Marulk (Eni operator with a 20% interest) and Morvin (Eni’s interest 30%) which in 2017 accounted for 57% of Eni’s production in Norway. The main producing field in the Norwegian section of the North Sea is the Great Ekofisk Area (Eni’s interest 12.39%) in PL 018, which includes the Ekofisk and Eldfisk and Embla satellites fields. In 2017, the Great Ekofisk Area produced approximately 23 kboe/d net to Eni and accounted for approximately 18% of Eni’s production in Norway. 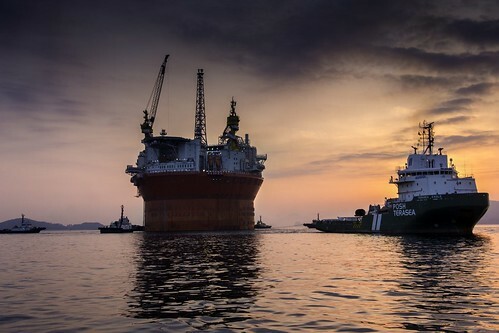 In an area free of ice, off the coast of Norway, Eni started production at Goliat, the first oil field to begin production in the Barents Sea. Goliat is being developed using the largest and the world’s most sophisticated floating production and cylindrical storage unit. Sustainability is a key element of Eni’s presence in Norway. In an ice-free zone, off the coast of Norway, Eni begins production at Goliat: the first oil reservoir to enter production in the Barents Sea. Il lungo viaggio della piattaforma Goliat, dalla Corea alla Norvegia. Goliat's long journey, from Corea to Norway.